Selecting appliance color with an eye for future resale or remodeling your house to market it for sale involves a careful analysis of decorating trends. The easiest decision is to select appliances with interchangeable panels that allow you to replace the front with an enamel color or a stainless panel. Some resale buyers also prefer an escrow credit to apply in selecting new appliances after the home closes escrow. This eliminates the stainless versus others decision in presenting your home for sale. Popular kitchen fashion changes over time, with the general preference for appliance colors shifting between colors and metal finishes. Buyer requirements for home appliances also change, including the need for trash compactors and in-house vacuum systems. The local real estate market and the price of the listed home typically influence buyers' choices on stainless or colored appliance faces. Home shoppers at the low end of the real estate market, for instance, rarely demand full-home vacuums, nor do they expect to see the more costly stainless appliances, but these buyers may pay more for a home with stainless, according to the National Association of Realtors. High-end buyers generally demand stainless or appliances featuring cabinet panels that blend with kitchen cabinets. Some real estate markets favor black or white appliances over stainless models, according to industry trade show trends reported by Consumer Reports in 2012. Touring local open houses and talking with appliance store clerks in your area can supply you with valuable marketing information for your home resale. Consult a few appliance stores close to your home and also stores in the surrounding area to collect enough information to make an informed choice before purchasing appliances for your resale home. The age of the appliance factors into potential buyers' decisions to make an offer on a resale home. Potential buyers sometimes focus on newer appliances that meet federal Energy Star standards, regardless of color. 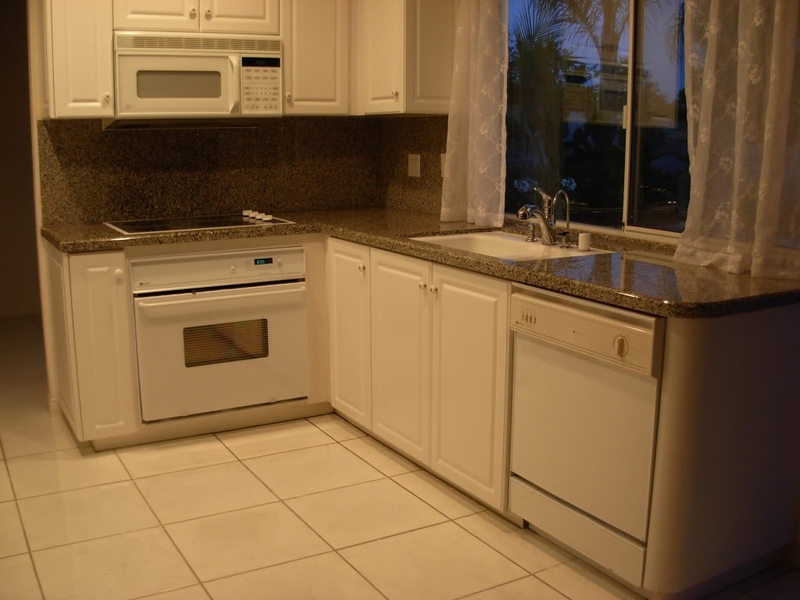 Home shoppers also avoid kitchens with outdated or worn appliances with any door finish. A colorful refrigerator that matches the overall home design and decor attracts other home shoppers, and a few buyers find vintage appliances, or modern reproductions, a positive enticement when touring resale homes. Server responsed at: 04/25/2019 8 a.m.